In case you missed it, we have chosen to hire a search firm to find our new Director of Children’s Ministry. We did this for two reasons: 1) The Director of Children’s Ministry is a critical position for our church, as our ministry to children is a high priority; and 2) We recognize that an outside group has a capacity that we, as staff and leaders, simply do not have during this season of ministry. We chose the search firm NL Moore & Associates specifically because they have done a lot of work for other Evangelical Free churches, and we were impressed with the results they achieved. Ann and Jamie from NL Moore came to Lakewood the weekend of June 9-10 to hear from the congregation and staff, and to observe the atmosphere and culture of our church. They were pleased with the congregation’s participation, and impressed with the vibrancy of the children’s ministry at Lakewood and the faithfulness of the volunteers. They took the information they gathered and have crafted candidate profiles and job descriptions to guide their search. We are in the process of reviewing and approving those documents so that the search can begin. Over the next 90 days, they will narrow the pool of candidates to 3-4 people and present those to the search team, who will take over the final stages of interviewing. Please pray that we would accurately capture Lakewood’s needs and values in these candidate profiles, that He would guide NL Moore to the right people, and that God would be preparing the heart of the person He has chosen for this position. 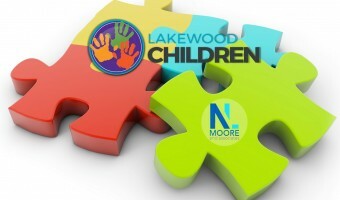 Find out more about NL Moore & Associates at nlmoore.com.